Greetings! Below are a listing of the upcoming events that Lambda Gamma Gamma Chapter of the Omega Psi Phi Fraternity, Inc. will be hosting in 2019! Please follow us on Facebook @LGGQUES as we post more upcoming events. Additionally, our patrons can experience our new website at http://www.capitalregionques.org as this current website you are viewing will be exclusively for members of Lambda Gamma Gamma chapter. We thank you for your continued support! To view details, click the title header. 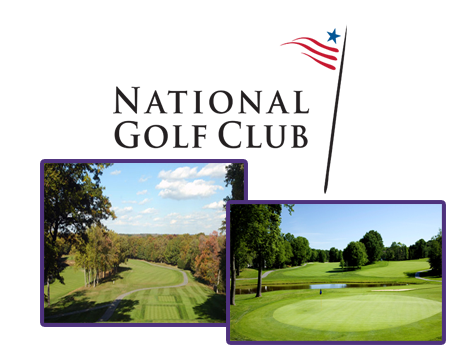 For questions or more information please contact krs@capitalregionques.org or webmaster@capitalregionques.org. 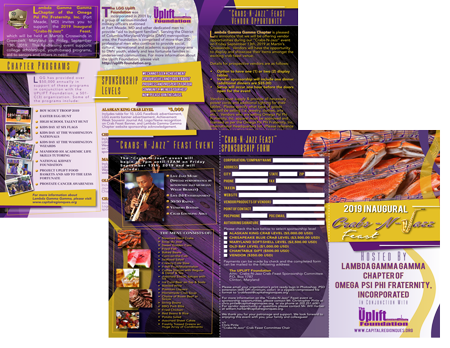 The Lambda Gamma Gamma Chapter (LGG) of Omega Psi Phi Fraternity, Inc., in conjunction with The Uplift Foundation, is soliciting your participation in our annual Colonel Charles Young Memorial Scholarship Contest. Students interested in competing for the scholarships must download and complete the scholarship application. All applications must be postmarked (date stamped by the post office, no exceptions) to the Scholarship Committee by April 22, 2019. Please click here get more details & download the scholarship application. 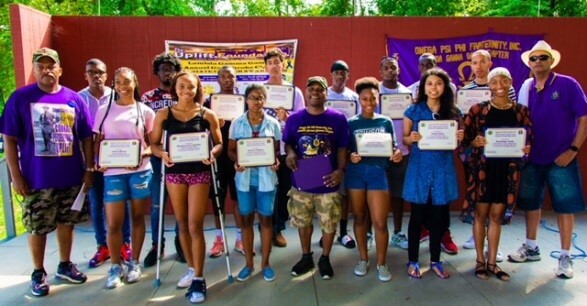 Above is the High School Level scholarship award ceremony from August 2018 during our annual QBQ Patron Appreciation cook out. As a chapter LGG awards approximately $30, 000 in scholarships annually. The picture has the students in the middle flanked to the right to left and by Bro Andre Debose, Uplift Foundation President, Bro Lawrence Shaw, Scholarship Committee Chairmen and Bro Reggie Vance, LGG Chapter Vice Basileus, in the middle. Offer some historical accounts on the struggle for African Americans and Woman to earn the right to vote. Identify what they saw as the primary causes for the 2016 presidential election participation drop by both groups plus they had to provide recommendations to help prevent future voter participation decline. Below is a listing of the 2018 Continuing Education Scholarship Awardees and the colleges they are attending. COME OUT AND HAVE SOME EASTER FUN! 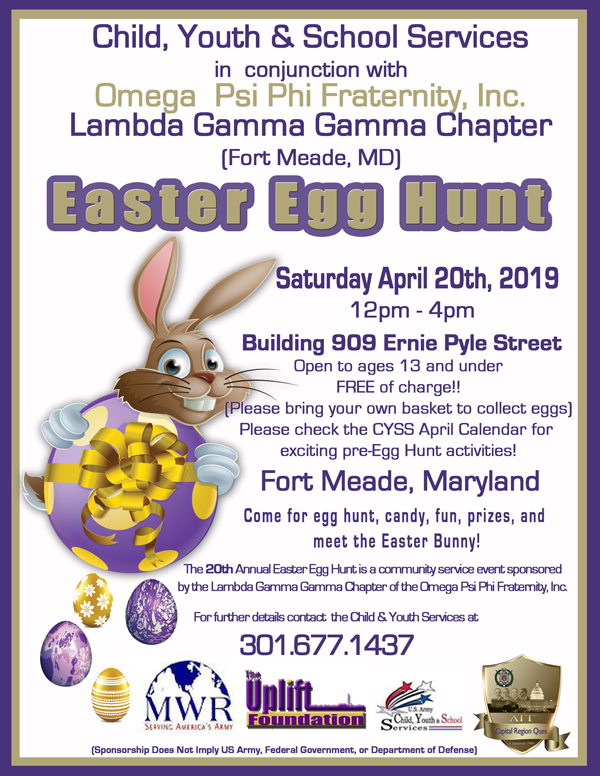 On Saturday April 20th, 2019, Lambda Gamma Gamma Chapter of the Omega Psi Phi Fraternity, Inc. in conjunction with the UPLIFT FOUNDATION and the Fort Meade Morale, Welfare, and Recreation (MWR) will be hosting the 20th Annual Easter Egg Hunt activity. The event will be held at the Fort Meade, Maryland MWR center located on 909 Ernie Pyle Street on the Fort Meade military installation. The event is free for children thirteen (13) and under. There will be an egg hunt, lots of candy, games, and prizes! The EASTER BUNNY WILL BE THERE! For more information please contact Bro. Tommie Bennett via e-mail at 'tommie.bennett@capitalregionques.org'. 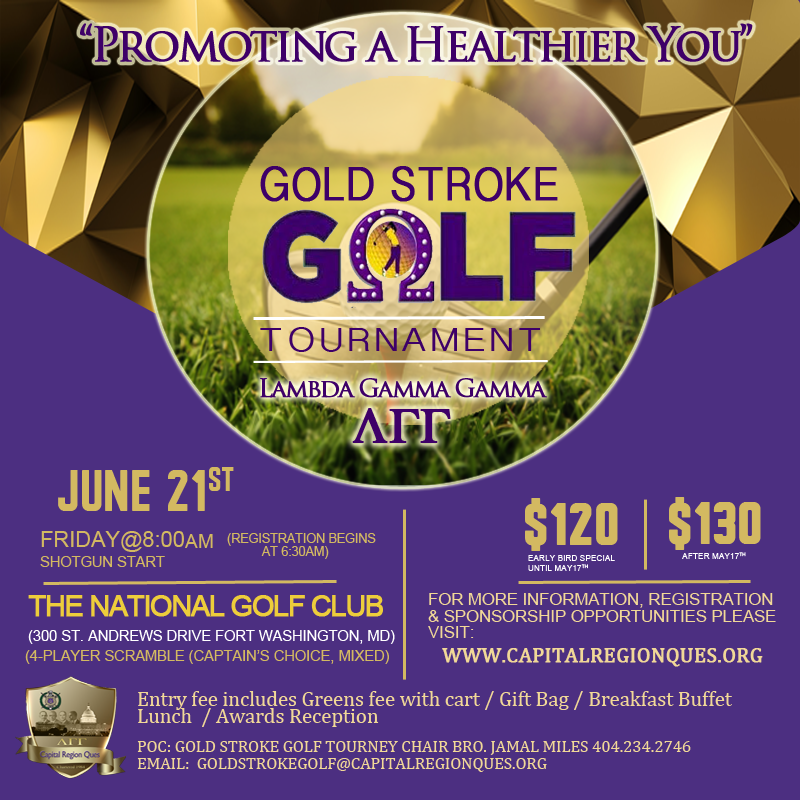 Gold Stroke 2019 Golf Tournament - June 21st, 2019 "Promoting a Healthier You"
Friday June 21st, 2019 the Lambda Gamma Gamma Chapter of the Omega Psi Phi Fraternity, Inc. in conjunction with the UPLIFT Foundation will be hosting it's 16th Annual Gold Stroke Golf Tournament event at The National Golf Club in Fort Washington, MD. 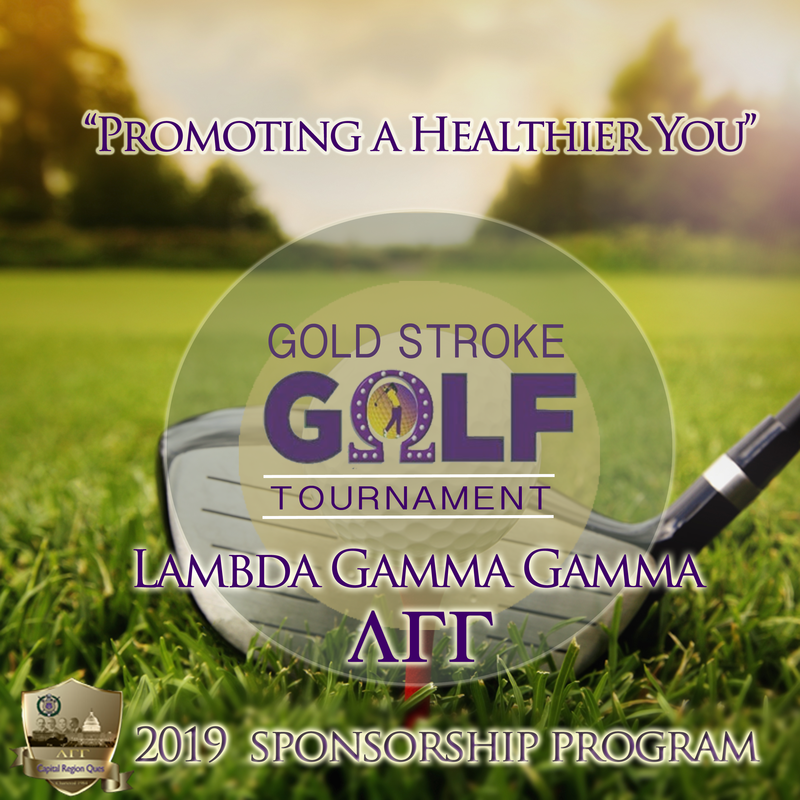 Hole and corporate sponsorship is available and can be purchased by clicking Gold Stroke Golf Sponsorship 2019. 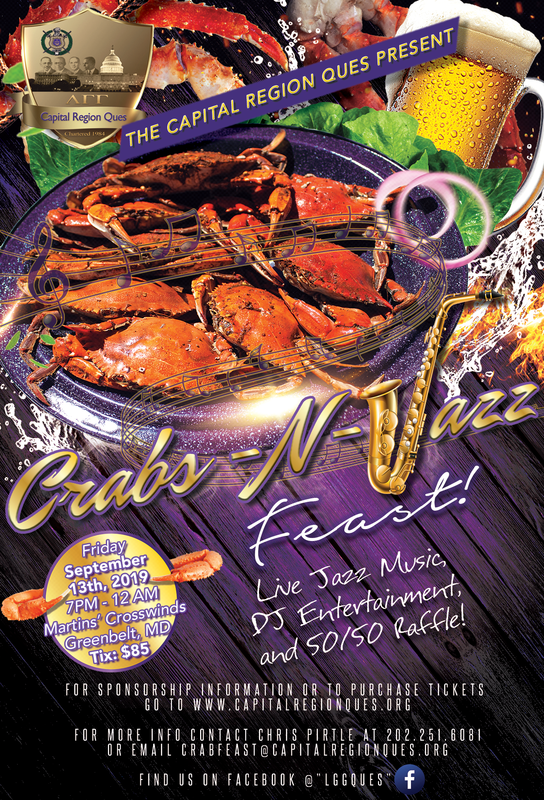 You are cordially invited to join the members of Lambda Gamma Gamma Chapter of the Omega Psi Phi Fraternity, Inc. and the UPLIFT Foundation as we host our 1st Inaugural "Crabs-N-Jazz" Crab Feast on Friday September 13th, 2019! 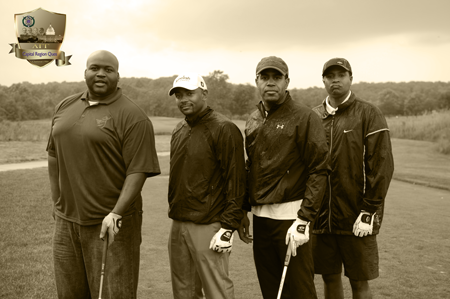 The event will be held at the Martin's Crosswinds Restaurant located in Greenbelt, Maryland. The venue of course will be the best of Maryland steamed crabs and a choice buffett of meats, vegetables, fruits, desserts, and beverages (NOTE: Adult beverages will be available).